Schenck Building Group is a full-service Remodeling company serving The Woodlands, TX and surrounding areas. Why use a handyman when you can have a Custom Homebuilder? For us, there is no job too small or large, and no job is too simple or complicated. 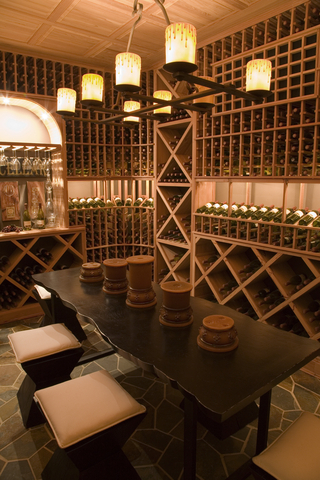 As a custom home builder, we have seen it all and built just about everything imaginable. Our superintendents, trades and contractors only provide the highest quality work at an affordable price. We service The Woodlands, Texas and surrounding area. Is it time to update your kitchen at your Woodlands Texas home? Then give us a call or email and set a time to meet with us. 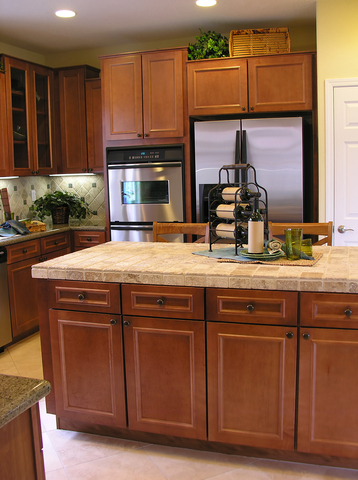 Take a look at some of the Woodland Texas customers that remodeled their Kitchen. The Woodlands Texas Kitchen Gallery. The possibilities are endless, from commercial kitchens appliances, to integrated wet bars, we can give your Woodland Texas home the update that you want and need. Bathroom need some lighting and brightening? Remodel your Woodlands home master bath and get the feeling of a Luxury Spa. 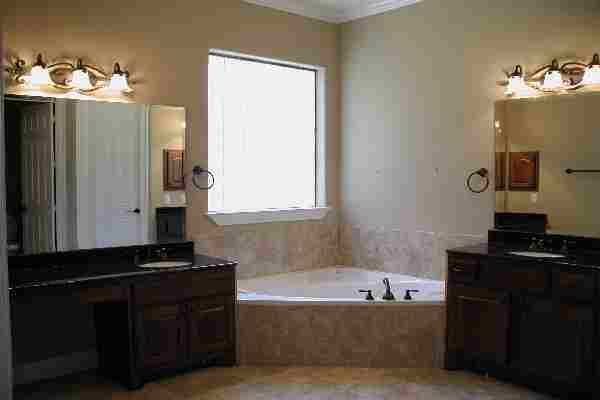 Click here for The Woodlands Texas Bathroom Remodel Gallery. How about adding that apartment above your garage? Maybe you just want to expand you patio or enclose it. Whatever the job, SBG can handle it. Does your Woodland, Texas home need a new roof? Typically we can beat a roofing company quote by hundreds of dollars. How is that possible? We don't have salesmen that work on commission, when you deal with SBG your dealing with the owners. This allows us to give you the personal one on one attention that you deserve. 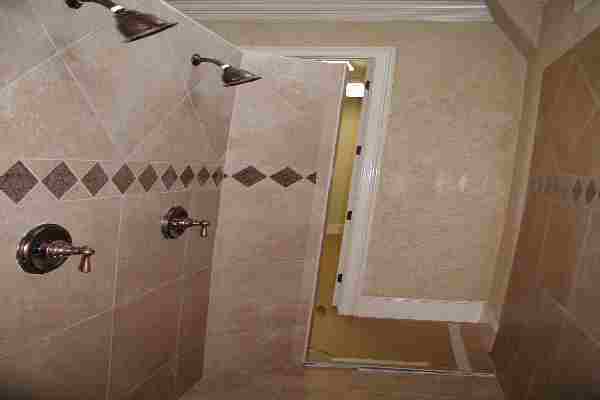 Having gone through the remodeling process personally, we understand the stresses of refurbish. We are empathetic to the needs and desires of the homeowner who simply would like to make their present home customized to his or her own liking. Whether you simply wish to remodel your Woodlands master bathroom or kitchen or if you want to add on a guest room or finish out an unfinished bonus room, we can assist you with all of your remodeling needs. Get the quality and craftsmanship you deserve. Call us today for a free estimate. We can beat most bid prices. Sometimes, however, the remodeling process is born out of a need created by a catastrophe or natural disaster. At SBG we are accustomed to working with insurance adjusters, and we can help you with the insurance process. Initially, we perform a detailed walk-through of your home, taking pictures and documenting the damage. Then, because we use the same software that many of the insurance companies use, we will come up with an estimate for you, using the going rates, so you'll know what it should cost to put your house back together. This estimate, with the documentation and pictures, gets turned into your insurance company. Later, we can meet with your adjuster to work on your behalf. Finally, once the estimate and scope of work has been approved, we can begin with your home’s restoration, handling details regarding water extraction, demolition, application of anti-microbial agents, and your home’s reconstruction. As a matter of fact, Schenck Builders, LLC has over 100 customers whom we have worked with on insurance claims. SBG is a division of Schenck Builders, LLC and we are The Woodlands Texas insurance claim specialists. Call us today and allow us to work on your behalf. Phone: 936-499-9544.